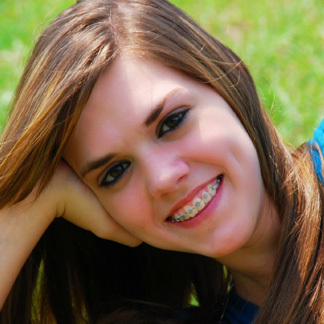 For most people, a beautiful smile is the most obvious benefit of orthodontics. After your braces come off, you will feel more self-confident. During your treatment, we want you to feel as comfortable as possible. Orthodontic appliances can be made of metal, ceramic, or plastic. They may be removable or they may be brackets bonded to the teeth. By placing a constant, gentle force in a carefully controlled direction, braces slowly move teeth to a corrected position. This is a great time to wear braces! Gone are the days when a metal band with a bracket was placed around each tooth. You can often choose brackets that are clear or metallic, and you can choose the color of the ties that hold the wire in brackets. Wires are also less noticeable than they used to be and the latest materials move teeth faster with less discomfort to patients.